Call us today for a free quote on pest control in Spring Hill, Hernando County, Citrus County & the surrounding areas in FL! If your home is your central base of operations for enjoying the sunny Florida lifestyle, then maintaining it is very important. It takes effort to keep a home feeling safe and comfortable throughout the year. You want to pay careful attention to preserving a high quality of indoor air, which includes monitoring for pests. From caring for the landscape to the home's AC system, roof, and plumbing, it's easy to spend hundreds on annual maintenance and home repairs. There is always something to be done. At any time of year, pests and other problems can create annoyances and even affect the health of the members of your household. It is important to find a pest control provider you can trust for all types of problems without having to pay an arm and a leg. Get friendly and dependable service by trusting your residential pest control needs to EcoFloridian® Lawn and Pest Control. There are many areas inside and outside of your home where pests love to hide. 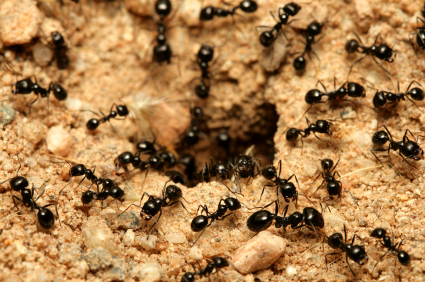 Think of how many ants, roaches, termites, spiders, rodents, snakes, and other varieties of pests live in Florida’s warm climate. It is easy for them to get inside your household and multiply. They may scare members of the family, and so keeping critters outside of the home becomes of tantamount importance to you. Fighting pests is truly a never-ending battle best left to the experts. Typically, homeowners enter a service contract that includes monthly or quarterly visits from a regular pest control company. This includes ongoing inspection, maintenance of pest traps, sprays, or other methods, and handling pest outbreaks. Pest control services address populations of insects and rodents inside and outside the home. Preventive measures can also keep pests from returning to the same areas and other areas of your home. Without a pest control professional, it is difficult to remove pest infestations and to minimize future problems. If you skip the cost of a regular pest control service, your home can become infested with pests. This can happen over time, and each infestation can grow into a huge problem without expert attention. For example, Florida homes are particularly at risk for termite infestations. In wood homes and in concrete block homes with wood components, termites can multiply rapidly and begin to eat away at the wood, which compromises the structure’s integrity. Termite explosions occur faster than you might imagine. If you allow termites or other pests to damage your property, you might spend thousands to remove the damage and install new materials. Pest problems lower the value of your home and make it harder to sell. For free information about getting affordable pest control services for your home, please contact EcoFloridian® Lawn and Pest Control. We have pest control plans that will not break the bank, and we will always assure you the highest level of customer service. We would love to answer your questions about pest control problems specific to the Sunshine State. Be sure to call us for more information and a free pest control quote!